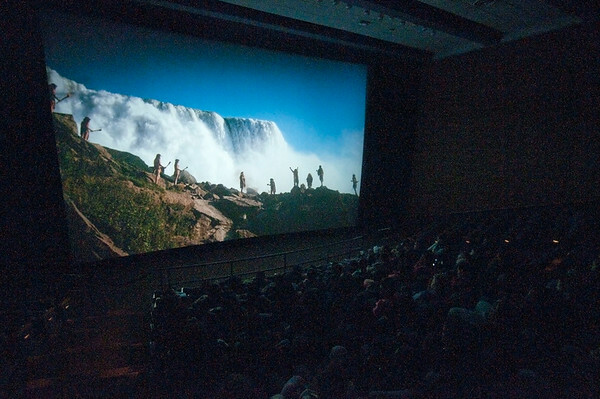 James Neiss/staff photographerNiagara Falls, NY - Abate Elementary 5th graders take in a movie at Niagara Falls State Park. The park has teamed up with their park partners to offer FREE field trips to students in the Niagara Falls School District. The trips were offered on a first come first served basis. Teachers from four local elementary schools signed up and 320 children will take part in the trips which begin Friday, February 21 and will run through mid-April. Elizabeth Colangelo’s 5th grade class from Abate Elementary and all the trips are being made possible through the cooperation of the partners at Niagara Falls State Park which includes Destination Cinema, Delaware North, Gray Line Tours, the Aquarium of Niagara and the New York State Office of Parks, Recreation and Historic Preservation. All trips include free transportation and free lunch in addition to admission to the park movie, the Aquarium and a guided nature tour.